So here we are again! Astonishingly it’s 8 years since ABRSM introduced a selection of the music for each grade in one book. This seemed such a big event back then, but now we are all used to the format, like it or not! New Exam Packs (Grades 1-5) containing pieces, scales, sightreading and a download code to access performance and accompaniment material. Selected Pieces for Grades 1-7 containing pieces and the download code. As excellent as these books are, they will become very familiar all too soon! I want here to draw attention to the part of the syllabus that is often neglected nowadays: the alternative pieces. ABRSM examiners are always delighted when players come in with something different, so they really are worth investigating! Depending on your point of view, the entire syllabus for Grade 1 can seem either safe – with many familiar tunes and books listed – or a little disappointing in that there’s not a lot new. That is really a teacher issue though, and I’m sure that your students will love what’s on offer! Quite a number of the alternative books set for Grades 1 and 2 are great value for money, including Time Pieces Volume 1, Harlequin Book 1 and Winner Scores All. These books contain pieces for higher grades too, and as they are compilations they also give plenty of additional repertoire. 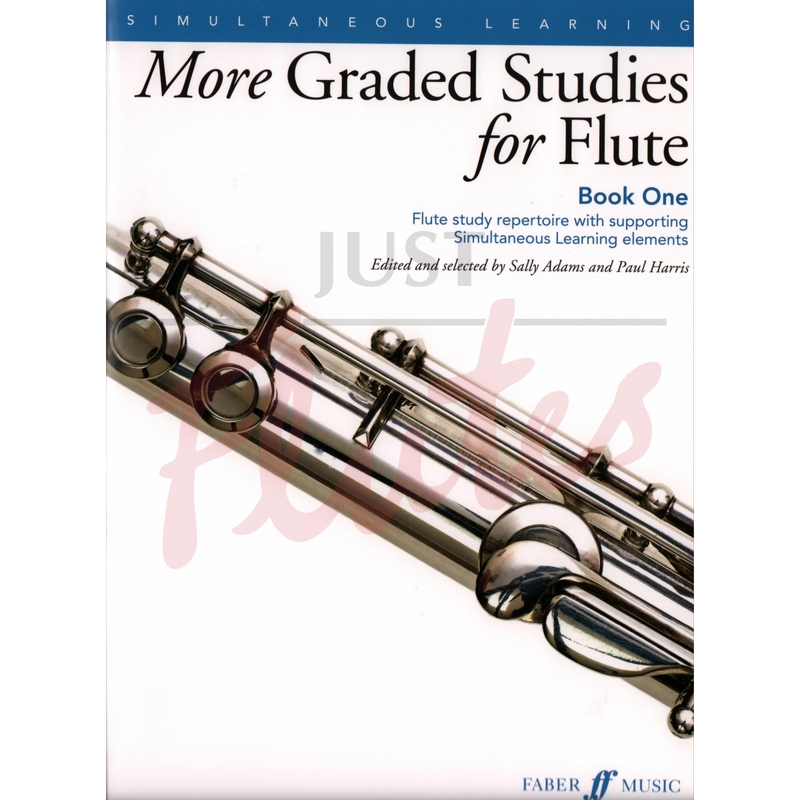 Study books that fall into this brief include Fifty for Flute Book 1, 125 Easy Classical Studies and Skilful Studies. If you’d like to branch out a little and still provide a good return on investment, the Grade by Grade series definitely fits the bill. This is an alternative ‘exam pack’ with pieces, scales, sight-reading and aural specifically tailored to the Grade 1 player., along with creative tasks which are great fun. Each piece has performance directions to help overall musical understanding, the scales are linked to the keys of the pieces and the both the sight-reading and aural content is very well explained. A performance and accompaniment CD is included. The famous Haydn Minuet and the Susato Rondo set on List A are both very tuneful and have just the right amount of challenge to effectively stretch a younger player. On list B Helen Long’s Spooked is great! It’s an imaginative piece with quirky changes of rhythm and articulation in A minor that really capture the title. The piano part is an integral part of this piece, which gives a great starting point for the understanding of vertical structures. In other words for players to learn that there’s someone else playing with you! Also on List B, Ten Top Pops is another book crammed full of pieces kids will want to play. Set for Grade 1 is the Theme from Wallace and Grommit – who can resist that?! The main difficulty with playing something well-known is playing what’s on the page and not what’s in your head! You’ll also need a good pianist but that shouldn’t be a problem – everyone will want to have a go at this one! The most interesting study book on List C is Sad Song or Articulate from Thirty One, Two, Three Studies . Each of these little gems has a title to give focus to your practice. You can sing Sad Song as well as play it, as it has easy rhythms and a straightforward phrase structure. Articulate is a little more of a challenge and the rhythms can catch you out. As you might expect from this title, tonguing is the challenge but clear dynamic markings help with managing those contrasts so loved by examiners! This is only a small step up from Grade 1 and, as some books will be already be familiar, the transition should be seamless. There are plenty of classical tunes and familiar songs to encourage tonal development and they are great for singing too! A lovely choice for List A is Hook: He Piped So Sweet from An English Garland. Those with a naturally good sound will love this piece as it is so beautiful! There are bars rest to count and pauses to negotiate, so working with a pianist will be a top priority. This book of 12 eighteenth century English melodies is very unusual and quite charming. It’s also used at grade 3 so it’s great value too! Harlequin Book 1 is a familiar and well-loved book, so it’s lovely to see that some new pieces have been set from it. The repetitive form of Tchaikovsky’s Ancient French Song makes this piece easy to learn, and it’s good for those struggling with the second octave as all the repeated sections are up there. You’ll also need to have a singing sound to make this sound really French – despite the Russian composer! List B is all about singing too, and although Wouldn’t It Be Loverly will be the ABRSM book blockbuster there are some great – and surprising! – alternatives. There is something for everyone here! Mr Benn from Mr Benn for Flute Younger players will be thrilled by the inclusion of this popular song and if they are real Mr Benn fans they will be able to learn all the other pieces in the album too! The familiarity alone should make light work of practising, which is good news as it’s not as easy as you might expect. (The piano part also has it’s moments!) They can play The Wizard for Grade 4 if they can wait that long! At the other end of the style spectrum is the Rolling Stones’ Paint It Black from Hartbeat. I’m not sure quite what Mick Jagger would make of his heavy rock number being played by fledgling flutes, but I daresay he is delighted to reach a new audience! Paul Hart has arranged this really well so the piece is pitched at exactly the right level for the grade. Put away your prejudice – if your student is a good player with attitude, you can’t lose – and their parents and grandparents can rock along too! There is plenty of good music to choose from on List C, but Jasmine Flower from More Graded Studies Book 1 is possibly the nicest. The Simultaneous Learning concept behind this book points you in the right direction before you start. This should help your student to focus on the musical as well as the technical detail. However, in this case I think they’ve missed a trick. The pentatonic scale used here (D major minus a few notes) is easily practised, and the impact this tonality has on the origin of the piece will really help the understanding of the style. You could even add in some improvisation exercises. Mike Mower has a similar piece in his excellent Junior Musical Postcards which encourages exactly that. It’s a really appealing piece and certainly makes a change from all that jazz. This new syllabus certainly provides a great deal of choice for younger players. Mixing and matching between the ABRSM publications and other books will definitely help making the exam process stay fresh for another four year!